Adobe Audition vs. Audacity for Mac…mhmm which is the best option? You might be asking yourself this question. But one thing is for sure; you are looking at which application will meet all your audio recording and editing requirements and which one will not. The one that meets all your requirements is worth investing in, no doubt. In response to this, below you are going to encounter a detailed Adobe Audacity comparison that covers each and every detail you need to know. After this review, you will be able to make an informed decision on the best application for you. Let's start by taking a closer look into which program is more reliable. For a long time, Audacity has been reported to crash regularly when you try to launch or zoom it in and out, attempt to apply effects, export and so on. This poor response pattern becomes so annoying especially if you have an audio file that needs to be worked on quickly. Audition on the other hand has been very responsive and does not crash occasionally, making it a reliable sound editing tool for you. Audacity is very notorious when it comes to saving your original audio files after the editing process is over. 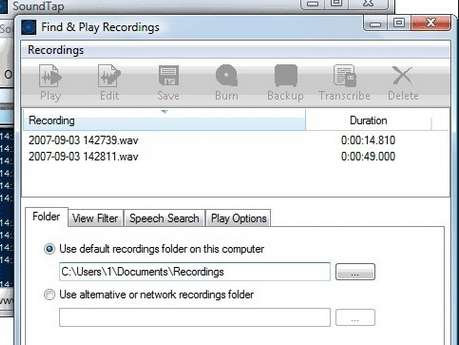 The application only saves your edited audio and rarely saves the originals. This is very risky especially when you realize that your new file does not meet some of your needs and you have to repeat the editing process using the original one. However, Audition saves both your original file sand the edited ones, reducing the risk of losing the original file in case you want to restart the editing process. Another factor worth looking into is how the two apps apply various sound effects on the audio files. While Audacity applies the effects directly to your recording, Adobe Audition does not do the same. For Audacity, direct application of an effect to your sound file is a little annoying, given that if you would like to undo a certain effect; you have to undo the processes you have covered, one after the other, until you reach for the effect you want to remove. In Audition, though you can also directly apply your effects to your recording, it allows you to set the effects in Effects rack. This way, you can turn them on or off easily without affecting your original recordings. When it comes to exportation process, Audition shows some poor characteristics- it gives a bad time formatting which can be misleading. For example, if you export your edited audio from Audition where it indicates its play time as 40 minutes to VBR MP3, the play time will over an hour long. Audacity displays the correct time format however, as it's powered by LAME. The only problem with Audacity is that the exportation process results into crashing of the application. Though appearance does not matter much, it is important to include it in our comparison list. Audition comes with appealing looks, making it sexier when compared to the Audacity. Finally, how does the pricing of the two applications compared? Audacity is totally free to use while Adobe Audition goes for a very big price tag of $349! If you look closely at the Adobe Audacity comparison, you will realize that though Audition appears to be much superior to Audacity, it might not satisfy your audio recording and editing quest. The bad time formats it shows up when you export a file from it to audio players becomes really annoying. On top of this, the program has a big price tag of $349, which might not be affordable for you. Could there be any other alternative to these two applications that covers up all their cons? Yes there is! 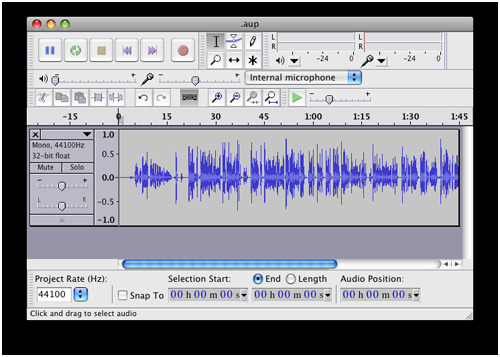 iSkysoft Audio Recorder for Mac is the best alternative in the market to both Audacity for Mac and Adobe Audition. The program gives you high quality audio files and has a small price tag that is affordable to everyone. Following is a brief review of this application that explains what the program is really is and a few features that makes it superior. iMusic is a sound recording and editing tool for Mac users that allows you to record high quality audio files from various sources such as audio and video streaming websites and so on. The sound recorder has very powerful features which make it stand among all the other sound processing applications. 1. This sound recorder gives you the opportunity to record free music files from unlimited audio streaming websites in just a single click! Such websites include MySpace, iTunes Radio, Yahoo Music, Google Play, YouTube, Radio Blog Club, AOL Music, NPC, GUBA, Spottily, Pandora and so much more. The music files you record bears the same sound quality as that of the original audio and can even be burned to a CD. 2. Ability to identify the songs information such as the title, genre, artist, and album! This software comes with the renowned ID3 tag identification feature which allows you to automatically obtain all the information you need about a particular song you have recorded. On top of this, the feature allows you to manually edit the information it provides just in case you discover some mistakes. 3. 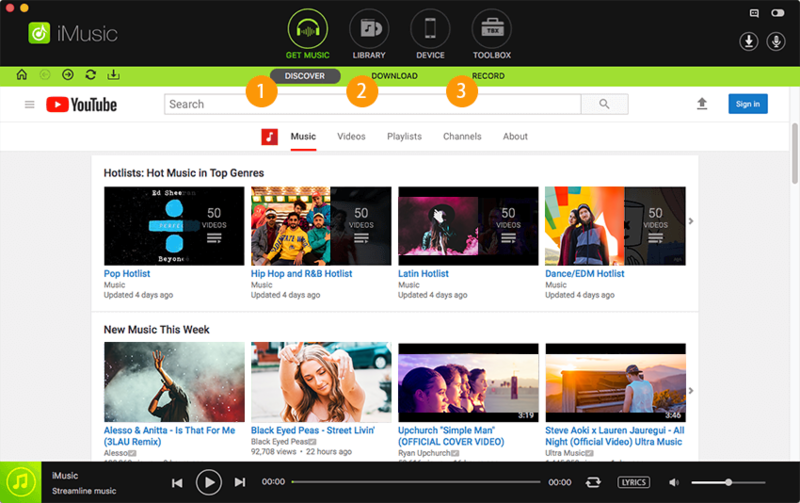 Record audio from video streaming websites. If you watch a music clip online and you feel like saving it on your local storage, the audio recorder makes this easy for you. Just click on the Record button and leave everything else to the application. 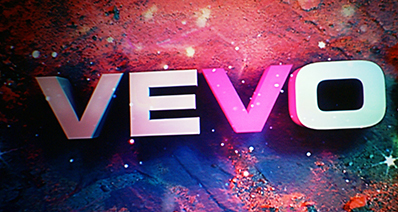 It will quickly record the music clip and save it in your preferred format (MP3 or M4A). 4. It captures and records audios with 100% original quality. Saving your favorite radio programs, music clips, etc couldn't get any better. If the source of your audio has a low quality output, customizing the quality from low to high is very much possible with this program. 5. Finally, the application allows you to move all your recordings to iTunes playlist or library directly! This has been made easy by the presence of "Add to iTunes" button on the recorder. The Adobe Audacity comparison shows that the former is way better than the former. But the comparison between Audition and iSkysoft Sound Recorder for Mac shows clearly that iSkysoft Audio Recorder is way better than all of them. This means that iSkysoft Audio Recorder is the leading tool for audio recording and editing. How-to > Music Recorder > Adobe Audition VS Audacity: Which Is Better?